By Nicole B. on February 18, 2016: Everyone LOVED the book! Our group is made up of 7 women ranging from 42-60+ years old and they felt this book would appeal to young and adult women alike. I loved your writing as it really created strong images in my mind of the characters and places. The book club loved how you developed the characters and one woman commented that she grew to really care about all of them. Another woman commented how she loved the historical references to the time period and to Long Island. They all loved how there were so many different story lines within the main story line. We all had our favorite characters, mine being Julie. The ending brought up many questions about the second installment. The biggest being when will it be released!!!! By Amazon Customer on February 6, 2016: This was a thoroughly enjoyable read. It brought back memories of growing up on Long Island and made me nostalgic for my childhood. The characters were very engaging with a story line that moved forward at a quick pace and kept me very engaged. I highly recommend the book not only for young adults, but for anyone who loves a good story (if you grew up on Long Island in the late 60’s, early ’70’s, you’ll really get a kick out of the book). By Amazon Customer on December 29, 2015: Awesome book. It’s very rare that I find a book I can’t put down until I’ve finished yet wish I had more to read when I’m done. An intriguing mystery with a very realistic depiction of Italian family life I the 60s. Passing out on to my daughter too read. Can’t wait for the second part of the trilogy. By Amazon Customer on December 10, 2015: Brought back many memories! Told my 16 year old daughter about it and she can’t wait to read it. I think this book will definitely give her a unique perspective on what it was like being a teenager in the 1960s. Although this book is a mystery novel, it intertwines many of the historical events of that time, making it highly educational in a very entertaining way. I can’t wait to share it with my daughter! By P. Greenwood on December 5, 2015: A book for people of all ages! Like the author, I’m also an Italian-American woman and can relate to so many family events in this story. It had a feeling of being autobiographical, a extraordinary feat not easy to capture in a book of fiction, especially in a writer’s first novel. Theresa Dodaro’s evocative writing takes me back to life around the kitchen table with parents and siblings and some very definite rules and regulations about what was acceptable behavior and what was not. I look forward to the next volume of this trilogy and am ready to pre-order it ASAP! By LynnR K on November 10, 2015: Loved this book. It brought me back to my adolescents, the wonder of your first love, but it had the mystery that didn’t let me put the book down until I was finished with it. So glad I got this book, it was wonderful. By Stephanie O. Heaphy on November 7, 2015: Great book! Can’t remember the last time a book held my interest like this book did. 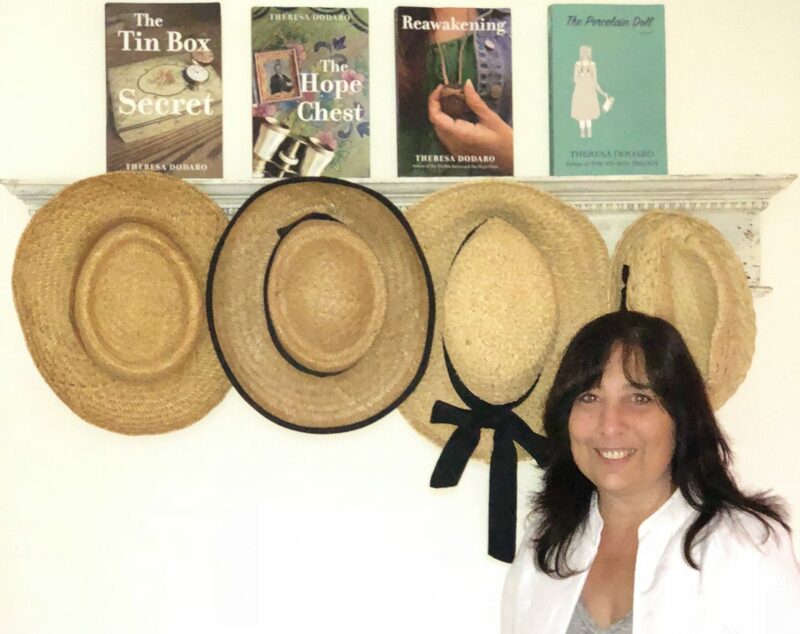 Being an italian american female growing up in the 1960’s i felt a deep connection to the story. Cant remember the last time i read a book so quickly. Would highly recommend this book and looking forward to anything else written by the author theresa dodaro. Will be recommending this book to all my friends. By beverly carlisle on November 4, 2015: Loved this book ! Easy to read and understands the viewpoint of a teenager in the 60’s! 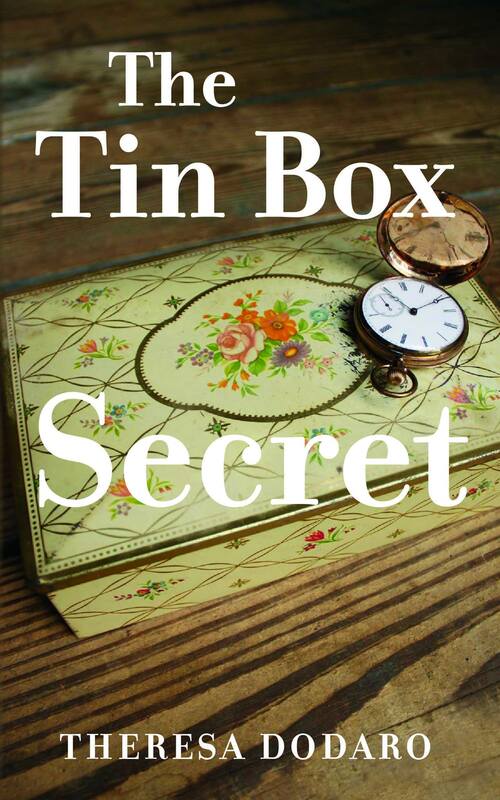 The mystery of the Tin Box keeps you turning each page. Can’the wait for the next one! By Janice S on November 4, 2015: Loved it! What a great read. The kind of book that makes you wish you hadn’t finished it. It brought back so many fond memories from my own childhood. I can’t wait for the next one! I think I liked this book better than the first only because I like reading about history. I have read many books on the Civil War but this book taught me a few things I did not know and were very interesting. When I read the last chapter, I was blown away. If I did not know better, I would say this book was written by a seasoned mystery writer! The author did a great job of tying up all the loose ends and the characters. If you have read the first book you must read the second. Now I will have to wait patiently for the third. I completely enjoyed reading The Hope Chest! The characters were so interesting and I loved their stories. Couldn’t stop thinking about them! The Civil War setting was thought provoking. Definitely recommend reading this book because I am glad I did! A well done YA novel. An interesting look into a young woman’s life during the Civil War, with some good and interesting descriptions of the horrors of war for soldiers and civilians . I’m certainly looking forward to the last book of the series! Loved this book! I couldn’t put it down. I read it in just a few days and liked the attention to historical detail. I had read the first book in the trilogy. I am excited to read the next one. I 100% would recommend this book! The story kept me on my toes and it was hard to put down. A great second book for this trilogy. I can not wait to reread it and for book #3 to come out! This was the best of the best of the Tin Box Trilogy. All three books by Theresa were amazing. As a new author, she needs to be taken seriously. I could not put down her books. I was so anxious to read the final book and was not disappointed. What a great story! I loved the characters. I was so excited and very happy with the ending. Thank you Theresa. Loved this story. Brought the story full circle. Theresa you have a talent and I look forward to reading your next book. Thanks for this story that brought so much joy to this reader. So many great memories as I grew up in Massapequa Park. 5.0 out of 5 stars Wonderful Read! So sad this trilogy is over! I LOVED all 3 of these books. Great story, lovable characters, lots of historical facts that I wasn’t even aware of. Thank you Theresa! Can’t wait until your next book! 5.0 out of 5 starsEnjoyable trilogy! Reawakening (final book of The Tin Box Trilogy ) revealed how everything is connected. I really enjoyed following all the characters through the past and present. I recommend this trilogy for bookclubs – there is so much to discuss . Looking forward to Theresa’s next book The Porcelain Doll.